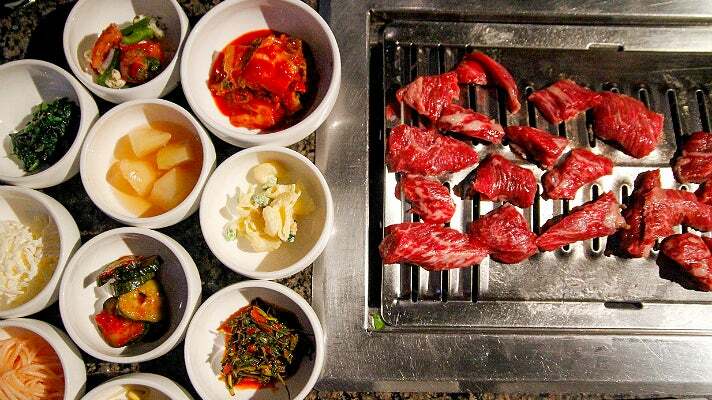 The sizzle and smoke of the tabletop Korean barbecue is one of the definitive features of the L.A. dining scene. The abundance of well-priced American protein and a rabid following of diners has created a critical mass of restaurants specializing in grilled meats, nearly overshadowing the love of barbecue in the motherland itself. 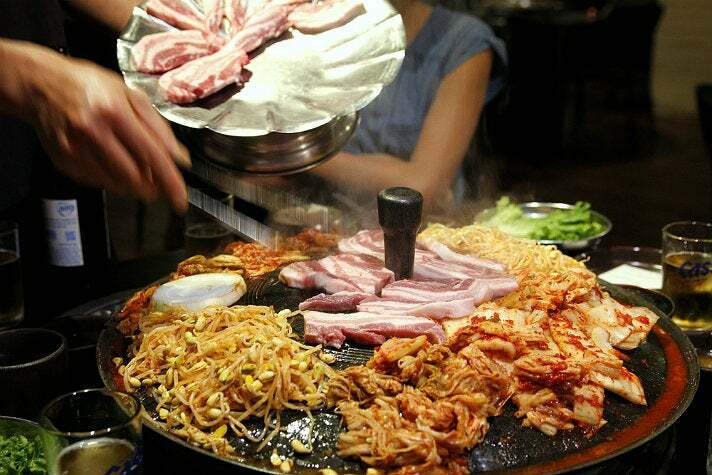 Through the years, barbecue restaurants have segmented into various categories – premium, all-you-can-eat, and middle-ranged a la carte, with each place trumpeting a particular specialty or stand-out side dish. Still other places emphasize the grilling devices and methods, where some employ charcoal for a smokier experience and others rely on special grates for more direct heat. Barbecue is best enjoyed with a glass of ice cold Hite, a simple Korean lager, or a chilled shot of soju, the national spirit of choice. 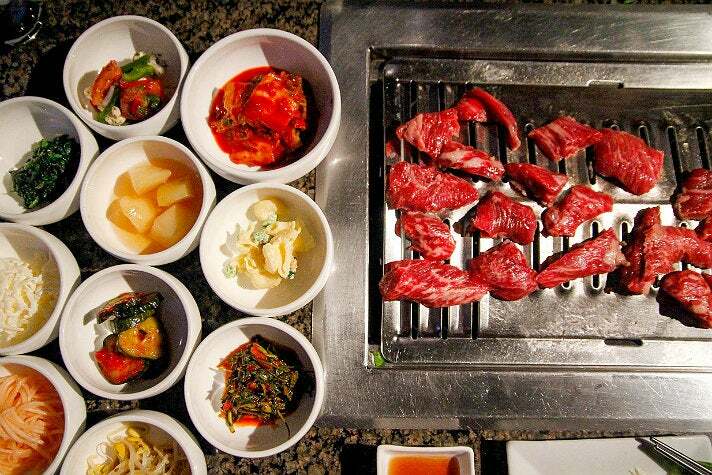 Think of Korean barbecues almost like more affordable steakhouses, where it's easy to get together with friends and family for a casual lunch or evening to celebrate the variety and quality of great beef, pork, and banchan. It's hard to go wrong with that formula. 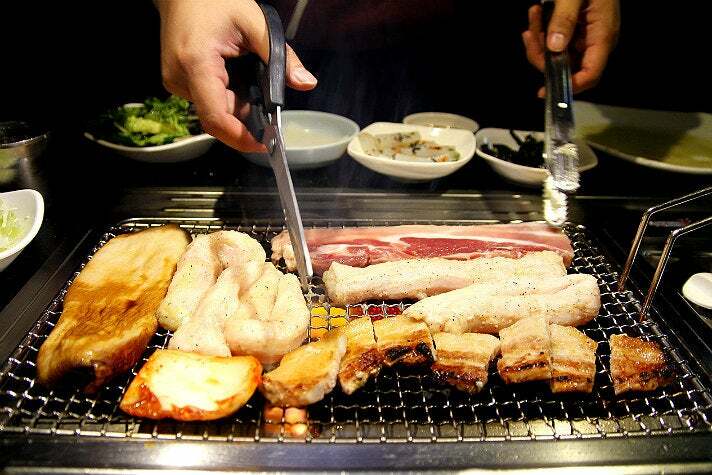 A Korean gourmand's dream, this type of barbecue simply isn't possible in the motherland. 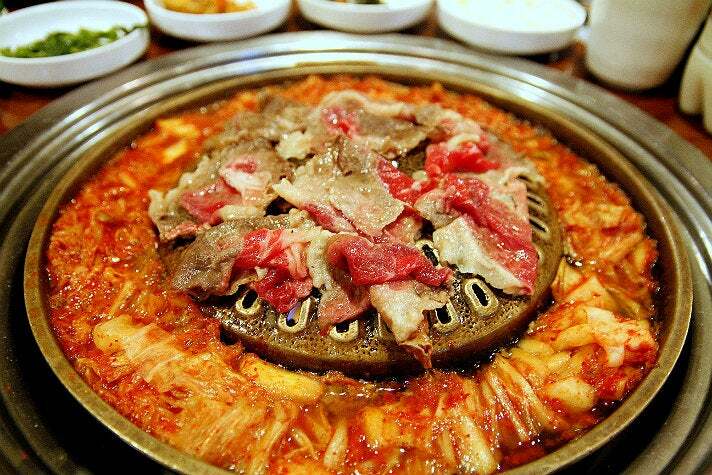 Oo Kook, which stands for “cattle country,” is an all-you-can-eat specialist whose quality of meat compares to the best in Koreatown. 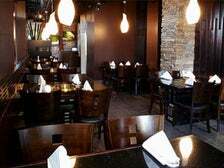 The setting is a little darker and more intimate than the typical shop, though the second story building and its open windows give the restaurant a little more liveliness than other Korean barbecue places, which tend to be dingy and smokey. The tabletop grill is standard issue, without the more celebrated (and perhaps overrated) charcoal briquets that are often seen at barbecue spots of this caliber. The best cut might be the tender but flavorful skirt steak, but the signature thin slices of chadol baegee, beef short ribs, are probably the best in town. The pork belly, probably the second most popular all-you-can-eat order, is no slouch either, resulting in terrific seared pieces that remain unctuous and chewy with every bite. Whole ribeye steaks are available for a real steakhouse feel, as well as a slew of variety meats, like intestines (which is not for the faint of heart). To up the ante further, Oo Kook even offers shrimp and baby octopus for the grill, something not often found in Koreatown. This unassuming restaurant in a 6th St. strip mall doesn't look like it's particularly interesting, but the details are what makes Yang San Bak stellar. 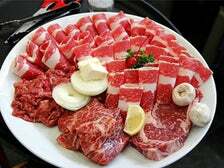 The meat quality is above average, but the variety that comes in the combos is very helpful for the newbie Korean barbecue enthusiast. 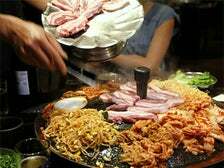 Couple that with a hefty domed grill containing a kimchi moat, and you're in business. While the meat cooks on the grill, the juices and fats slowly run into the kimchi, which is simmering in a fish sauce broth for even more flavor. 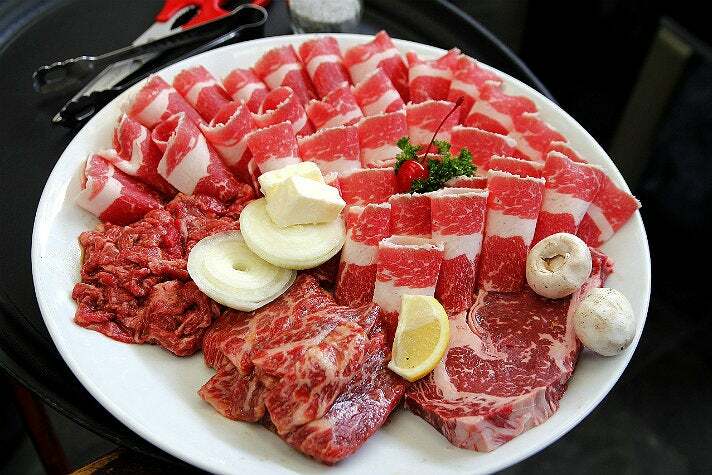 Meat picks in the combo include thinly-sliced brisket, chunks of short rib, whole sirloin, marinated intestines, and thick-sliced pork belly. The banchan is slightly better than the garden variety barbecue joint, which makes the whole experience excellent in every manner. Even the service goes above and beyond, with a quick response on the small dining room floor to every whim. Another plus is that Yang San Bak stays open late every night until 2:00 a.m. 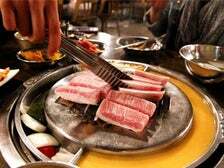 Without a doubt one of the more popular premium Korean barbecues in the city, Soowon Galbi boasts high-quality, prime grade meat served in a dark, intimate dining room. 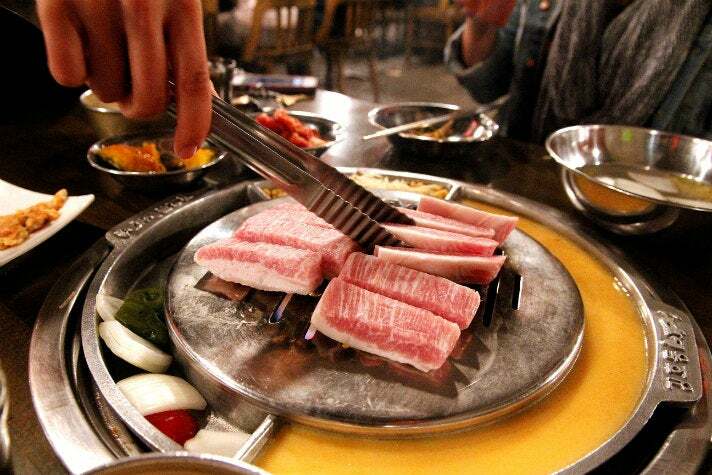 The smoke and steam never really seems to dissipate, giving Soowon a near-mystical feeling, but the reality is that the table-top grills burning with charcoal pieces completes the experience. There's the succulent kkot ssal, thin strips of tender, fatty short rib, as well as more moderately priced jumulluk, short rib chunks that are lightly marinated in garlic and sesame oil. 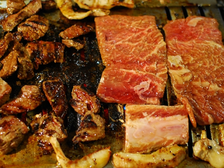 The Soowon wang galbi, the house special marinated short rib, comes out slightly salty, but packs a flavor punch once it gets a slight sear on the hot grill. 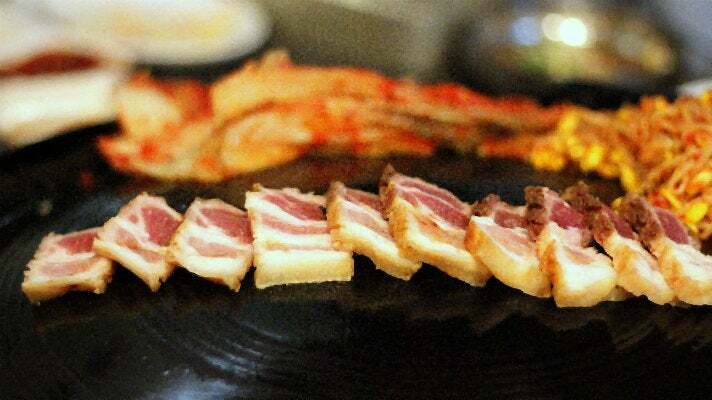 Service is a standout at Soowon, where servers generally initiate and manage the cooking until the last bit, when diners are encouraged to pick meat off at their own preference. The banchan at Soowon also remains a cut above other spots, using freshly pickled kimchi cucumbers, almonds tossed with anchovies, and ultra-intense kimchi that tastes wonderful with bites of galbi. The airy, clean confines of Chosun Galbee makes this the place to bring the parents. 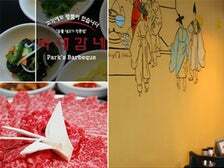 The excellent ventilation system ensures that diners won't be smelling strongly of smoke while servers donning hanbok (the traditional Korean garb) present high-quality cuts of galbi and more. The banchan selection here is admirable, almost addictive, with picks like delectable kimchi and cucumbers, julienned daikon radish, and even the slow-braised stringy beef called jangjorim that's not found at barbecue places as often as banchan. The grills always get a pat of butter for extra fat and seasoning, while servers start the grilling for diners. 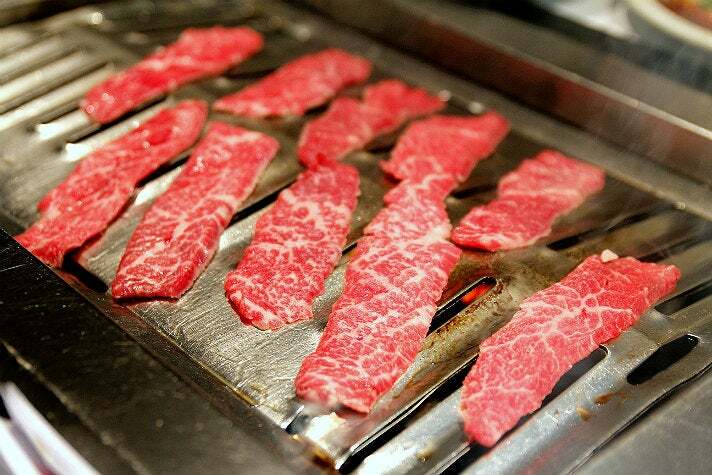 The long strips of unmarinated galbi are the best pick overall, though the weekday combo platters often present a whole ribeye steak, thin curls of fresh beef brisket, and some chunks of lightly marinated beef for a different flavor. At this point some of the newer places have a little more flash and sizzle, but Chosun remains the old stand-by, that spot that's consistently excellent. 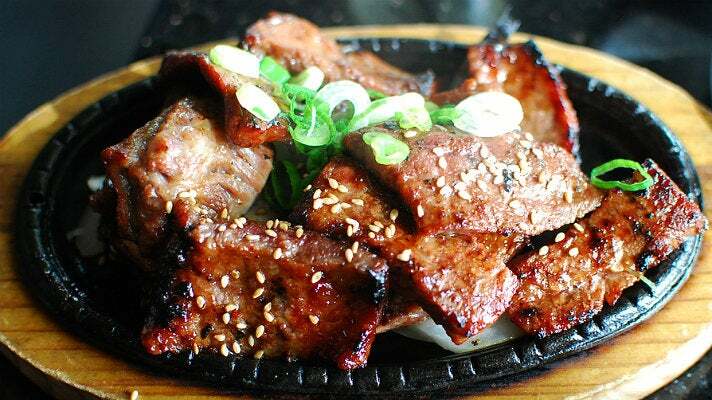 This Koreatown classic is known for two things – great barbecue and great cold noodles. Put the two of them together and it's possibly the best one-two punch in Korean cuisine. The underlying details of The Corner Place starts with two banchan placed on the table when seated. First, it's the almost-spicy shaved pile of green onions tossed in a black pepper and sesame oil. Then there's a medium-sized bowl of dongchimi, which is a lightly fermented 'soup' of various crunchy vegetables like daikon radish. That particular bowl is for sipping and picking out during the meal, but that 'soup' makes the addictive, tangy broth that comes with the cold white noodles, known as dongchimi gooksoo. 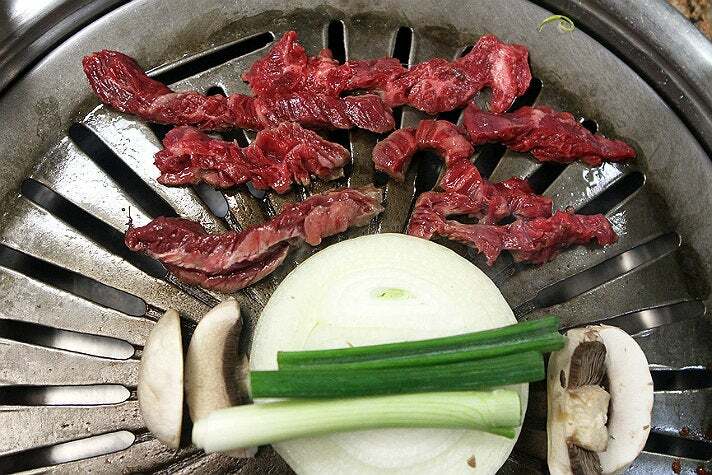 Tabletop grills quickly get filled with the standard players – marinated short rib bulgogi, kalbi, the house-specialty skirt steak that's lightly marinated, and other variety cuts like paper-thin beef tongue slices and chewy bits of beef shank. Then these pieces are meant to be washed down with slurps of cold noodles whose broth recipe is so secret that only a few people (likely grandmothers) know how to make it. Copied all around town but never replicated, the noodles are what makes The Corner Place amazing. One of the newer entrants to the all-you-can-eat game, Star BBQ does many things well, including the very helpful grated grill that's different than most places. The selection of meats is impressive, though the quality is about what one might expect for this caliber. Sliced brisket is pre-frozen but still flavorful. Pork belly is thick-cut and sears beautifully from the direct heat of the grated grills, gaining a slight crunch from the browning process. The offal meats are even better here, and get the correct type of grilling here. The thick, lightly marinated tubular intestines are frightening to look at when they hit the grill, but over the course of twenty minutes, they start to firm up and gain a squid-like texture. After a few more minutes of cooking, they get a light sear and crisp, making it perfect for dipping into the sweet wasabi sauce provided. 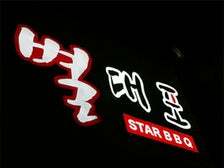 The banchan and service here are probably not quite the level of other spots, but for the price and variety, Star BBQ is hard to beat, especially late at night. 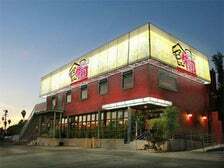 Possibly the biggest game-changer in years for the Korean barbecue scene, Korean celebrity Kang Ho Dong opened his trademark barbecue restaurant last year in the center of Chapman Plaza, often thought of as the hotbed of nightlife in Koreatown. This slightly dingy, extremely smoky restaurant has an ambiance that resembles the myriad barbecue spots in Seoul – low-flung tables with stellar meat and pristine banchan that focuses more on quality than quantity. The galbi and beef cuts are generously portioned and perfect for sharing, getting grilled on open grates that are all the rage in the best Korean barbecue places. Then the standard, thicker steel grills are brought out for the pork cuts so that moisture is not lost. The pork neck is the real treat – long, fatty pieces that firm up on the grill and get an addictive chew. This hole-in-the-wall spot just behind Vermont Ave. might be one of the hidden gems in Koreatown. The all-you-can-eat deal here is very difficult to beat at the moment, especially for the price and variety. The room looks a bit run down, but it's not a worry for anyone dining there. The ventilation doesn't seem to be working either, with a constant cloud hanging over the place. However, it still doesn't detract from the experience at the table, which starts with a collection of respectable banchan and accoutrements. The meat selection is dizzying, with the house-special pork belly making the best choice. Slightly cured and almost bacon-like, they're pre-sliced for convenience and grill to perfection. 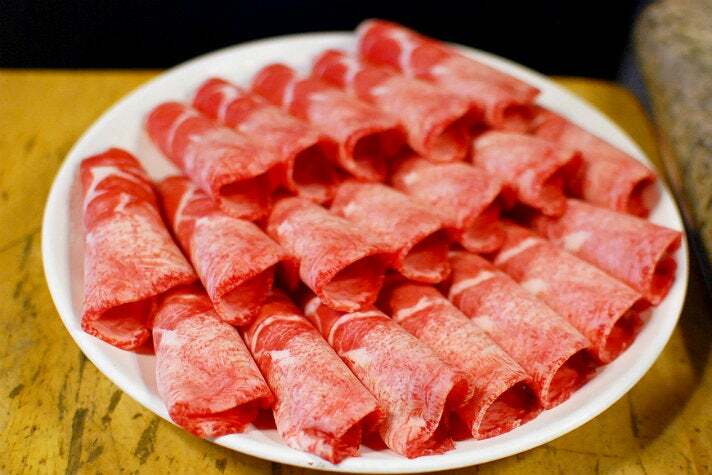 The other meat selections are also very high quality, making Gui Il Bun Ji a hassle-free spot that pleases almost everyone, with the exception of those averse to smoke. 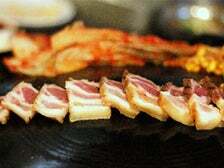 Though a bit west of Koreatown, this Mid-City restaurant does a great job of making Korean barbecue approachable. The room looks dark and fancy, unusual for some people that expect bright lights and plain décor. The service is also very helpful, with most servers fluent in English. The banchan selection is simply unparalleled in the city, with over twenty tiny bowls matched together on the plate, looking like a visual feast in itself. Then the meat selections come out, which are conveniently put together in combination orders for diversity. 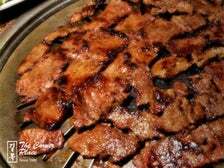 The pork belly and brisket are very good, but the galbi might be even better, marinated to the brink of savoriness and then browned on the hot grill. The expansive menu also has plenty of a la carte choices like spicy pork belly, unseasoned short ribs, and even a Wagyu beef ribeye for an over-the-top bite.